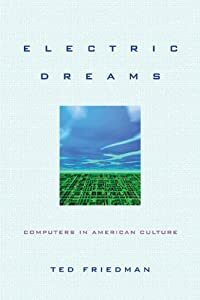 My first book, Electric Dreams: Computers in American Culture (NYU Press, 2005) is now available on Kindle and in the epub format. You can also use this page to find a library near you with a copy. For a taste of the book, you can check out the introduction and excerpts on Apple’s “1984” ad and simulation games. More info about the book, including links to reviews, here. This entry was posted in Myth on February 12, 2011 by tedfriedman.